The mobile power market is really hot, and there are many insiders. Today, I will talk about rechargeable batteries and let everyone know more about this product. The main components of the mobile power supply are rechargeable batteries and charging circuit boards. With the same quality control and the same volume, the lithium polymer battery has a larger capacity (more mA) and is safer (not easy to explode, only problems are bulging or flowing), and it is lighter. The lithium-ion battery has the same capacity as the lithium polymer battery. The lithium-ion battery of Samsung 3000 mAh is an example. The average price of the battery is about 14 yuan, and the polymer battery with a capacity of 3000 mAh is even Domestic brands must be around 18 yuan). As of August 2013, most of the brands in the mobile power industry have chosen for cost reasons: lithium-ion batteries with larger volume, relatively lower safety factor and heavier feel ( Or called a cylindrical battery and 18650 battery). Take the top three brands of Taobao mobile power sales in August 2013 as an example, all using 18650 lithium-ion batteries. If you care more about the product size and want to be safe, the battery is best to choose lithium polymer. On the other hand, if you don't care too much about the size and weight of the product, the safety requirements are only general, and the mobile power source for the lithium polymer battery can also be used. The first category, unmanned workshop: recycling batteries when new sales. The safety hazard is great. Buying this kind of battery is equivalent to carrying a small bomb. The third category, no-fashion manufacturers: battery capacity mad standard, external viewing can only hold 4 18650 batteries, but the standard battery capacity of 20,000 mAh, 50,000 mAh, or even 100,000 mAh. Here, for everyone to popularize a battery knowledge that is very necessary to know, let us fully understand the market darling: 18650 specifications of lithium-ion batteries. 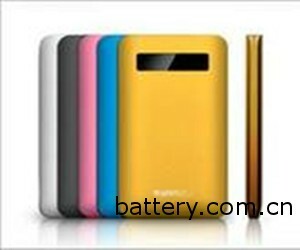 The thickness of the mobile power supply is less than 18mm, and the 18650 battery must not be used. The thickness of the product casing is at least 1mm, so the mobile power supply with thickness less than 20mm is definitely not the 18650 battery. 18650 lithium-ion battery, the most common domestic capacity is divided into four categories, 3000 mAh / festival (imported Samsung or LG brand, about 14 yuan), 2600 mAh / festival (domestic big factory Bick or Huayuebao brand, about 12 yuan a section), 2200 mAh / section (domestic medium-sized factory owners do, about 8 yuan a section), 2000 mAh electricity / section (small and medium-sized factory master, about 6 yuan a Section), the capacity to go down, the general battery factory will not mass production, usually the poor quality of the production of poor batteries, that is, the market is called B or C products.